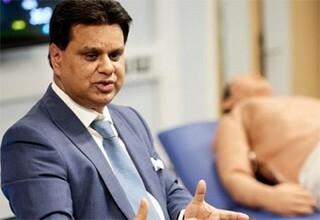 The University of Bradford and the Digital Health Enterprise Zone are launching a new research and innovation centre created to encourage pioneering relationships between academics, researchers, business and health professionals. Its goal is to support research and development of digital health innovations that improve the lives of people living with long-term conditions. The DHEZ Academic building on the University of Bradford City Campus, Phoenix South West, has undergone an extensive transformation into a digital health facility. It is the University’s focal point for access to the newest technology, research, and projects in digital health. It offers four floors of research, learning, exhibition and business incubation space. It also has public clinics for physiotherapy, eye examinations and reviews of patient medicines which use the latest industry standard technology for high quality teaching and patient experiences. To launch this fantastic new facility we will be holding an event on Friday 29 September 2017. As part of the launch day we would like to invite you to attend DHEZ Academic’s Inaugural lecture by Shafi Ahmed at 12.30pm and have an opportunity to see the new facilities. Book your place on this event.